I found this recipe here. Since giving up gluten I have really missed eating pizza. Boy, did these hit the spot! They were so good! Cut the zucchini about 1/4 inch thick. Broil or grill the zucchini for about 2 minutes on each side. 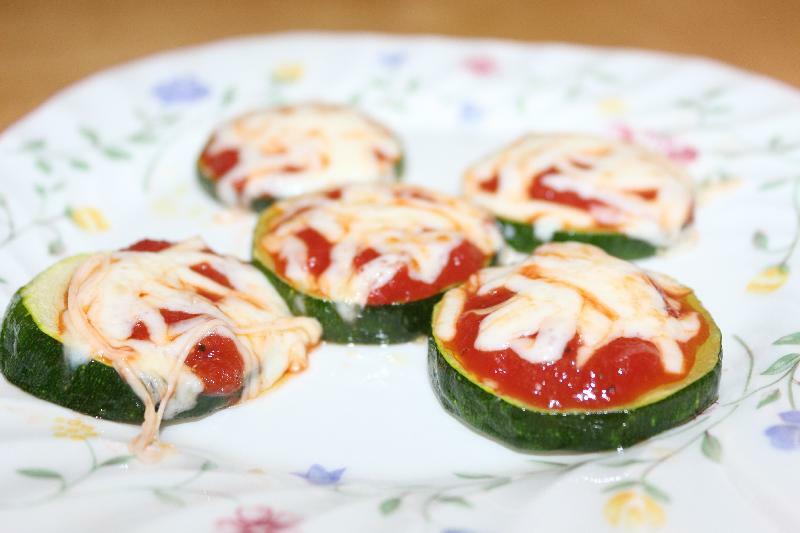 Top the zucchini slices with sauce and cheese and broil for an additional minute or two.